Baby teeth are very important. They help a child eat healthy food. They hold proper space for adult teeth. If baby teeth have cavities that are left untreated, they can become infected and can cause pain and, in some cases, life-threatening infections. You can prevent cavities by practicing good oral hygiene habits. Start early! Even before your baby’s first tooth appears, wrap one finger with a clean, damp washcloth or piece of gauze and gently rub it across your baby’s gum tissue. This practice both clears your little one’s mouth of any fragments of milk or formula and begins the process for building good daily oral care habits. A baby’s first tooth erupts at about six months. Use a soft-bristled toothbrush for babies. Use a small smear of toothpaste the size of a grain of rice. The American Dental Association recommends toothpaste with fluoride as soon as the first tooth erupts. It is important that you are the one that brushes your baby’s teeth. A toothbrush is not a toy. Brush your child’s teeth at least two times a day. Developing this habit early will help to keep your baby’s smile healthy as they grow. Once your child knows how to spit, you can increase the amount of toothpaste to the size of a pea. Do not give your baby any sort of sweetened liquids such as flavored drinks or soda. Even the sugars present in fruit juice, formula, and milk (this goes for breast milk as well) can cause decay, so regular teeth and gum cleaning is vital. Also, make sure your baby never goes to bed with a bottle; sugary liquids in prolonged contact with teeth guarantee early-childhood decay, also called baby-bottle caries. 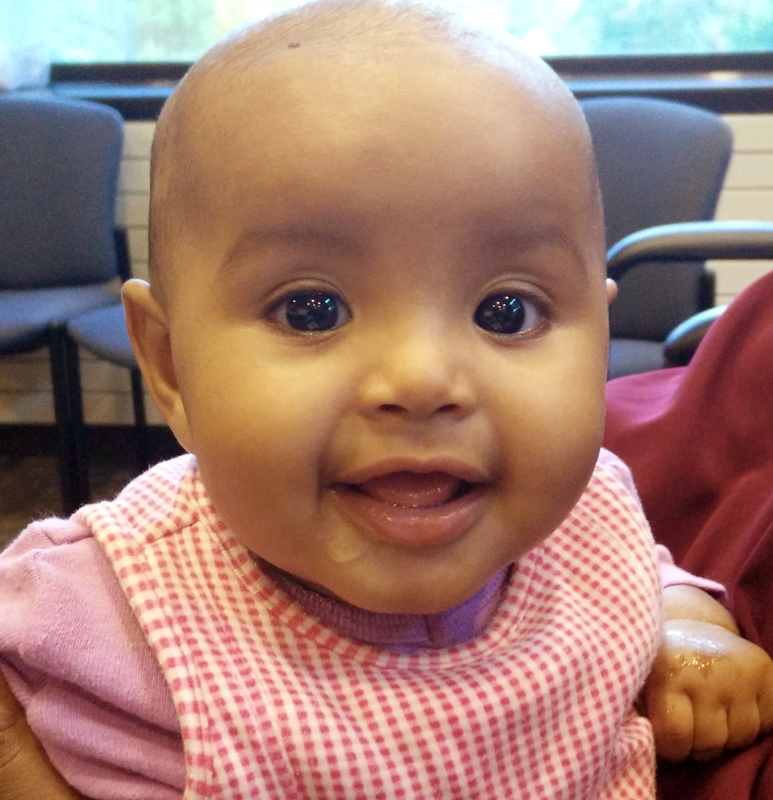 Make an appointment for your baby as soon as the first tooth erupts. Since decay can occur in even the smallest of teeth, the earlier your baby visits us, the more likely he or she will be to avoid problems. We will look for any signs of early problems with your baby’s oral health and check in with you about the best way to care for your little one’s teeth. Remember that preparing for each dental visit with a positive attitude goes a long way toward making your child comfortable with regular checkups. 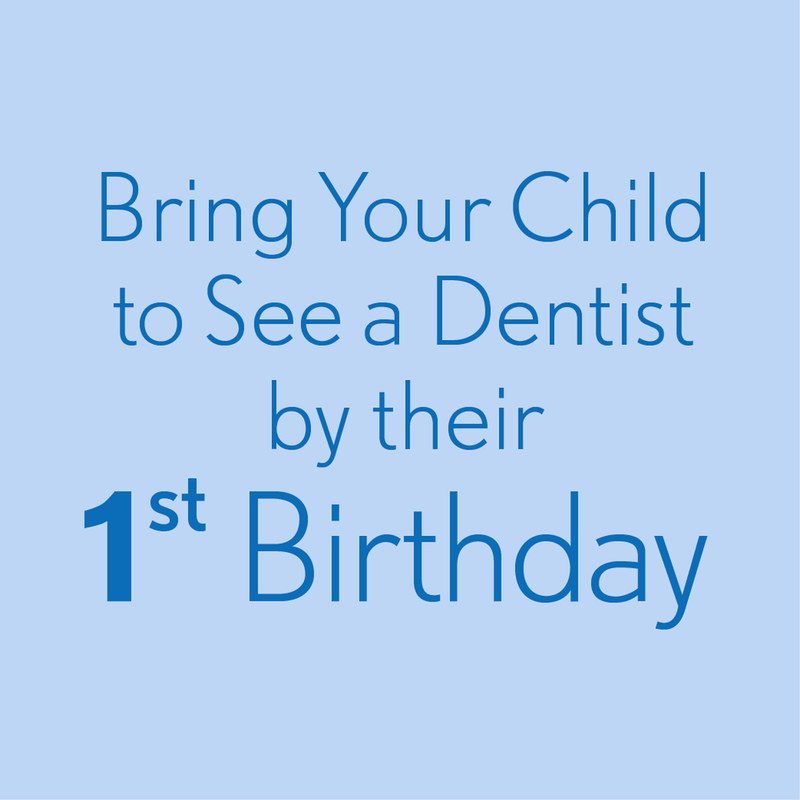 You can help to make your child’s first visit to the dentist enjoyable and positive. It is best to not use words that might cause unnecessary fear such as “pain”, “needle”, “shot”, “pull”, or “hurt” when talking to your children. Our providers are experts in explaining dental procedures to children. We use words that send the same message, but are pleasant and non-frightening. As part of the natural learning process, little ones are expert mimics, and you can take advantage of this talent. Brush and floss daily while your child is watching, and he or she will learn the importance of your good habits. As soon as your child shows interest, encourage your toddler to “brush” with you. (You will find toothbrushes with chunky, short handles that are easy to grip.) Most children do not have the dexterity necessary to clean their own teeth thoroughly until they are about six or seven years old, so you will have to brush their teeth as well. Try different tactics to make brushing fun: flavored toothpaste, a toothbrush with a favorite character on it, or singing songs about brushing. The primary goal is to instill healthy oral habits at an early age to set up your child for a lifetime of healthy, cavity-free teeth!